This week at Fairy Fun Fridays the theme is California Dreamin' (the song lyric) hosted by our lovely fairy princess Hannah. I used the Fairy Sleepy from Prairie Fairy Designs. This is the first time I did a graduated dot background around any of my images and kind of like it! Don't miss out on your opportunity to get some FREE Prairie Fairy Design images by entering your creation. Make sure you drop by the princesses and give them some love for their inspirations! Hi Kelly....the same images, but 2 different cards...love yours very much....great coloring! What a great take on the theme for this challenge!! Awesome card. Fabulous card Kelly, love the colouring and your sparkly wings. I hope you have a lovely weekend hon. Such a sweet card Kelly!!!! Love your gorgoeus card Kelly. A very apt image for that particular challenge. 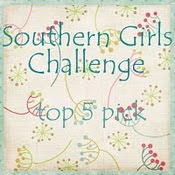 Thanks for joining our sparkles challenge here at Southern Girls. This is just GORGEOUS Kelly - I love your coloring too! Such a beautiful card and great colouring, so lovely! Great card Kelly, perfect image for the challenge, love it! Beautiful card, she looks so contented laying there. Super colouring Kelly. Thanks for joining us at Lexi's Creations this week and good luck. A lovely card Kelly. Thanks for joining in with the CES Challenge! Beautiful! I love the sparkly wings and your fabulous colouring! This is definitely a California Dreamin' card, Kelly, and I should know since I live out here. Wonderful design!! 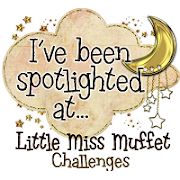 :-D Thanks so much for joining in the challenge at Lexi's Creations. AGOod luck and I hope we see you again next time. Darling. Love the glittery wings! Thanks for playing along with Southern Girls.